Xirco is an IT consultancy, systems integrator and support provider that provides highly cost effective IT services to businesses througout the UK. We are proud to be different. Xirco differentiates itself by focusing purely on its business strengths to deliver high quality support, advice and consultative services to those that want to make a difference to their business. If you have a defined requirement for a particular solution but are unsure of the best software partner to work with, or if you have an organisational issue that could be addressed through the use of technology, Xirco can assist. Irrespective of the stage at which we are engaged, Xirco can guide clients through any part of a project process, aiding with process analysis, specifications, vendor negotiations and implementation. The business was started in 2010 by Jon Hayes, a Chartered IT Professional with significant experience in management and consultancy, in response to his own frustration at the quality of services being offered in the SME market. Through it's own reputation, the business has grown to support clients in a number of business sectors. As the reliance on external IT partners increases for businesses of all sizes, access to reliable IT platforms and consultative services is becoming ever more critical. The quality of such advice is often poor or uninformed but Xirco break the mould. 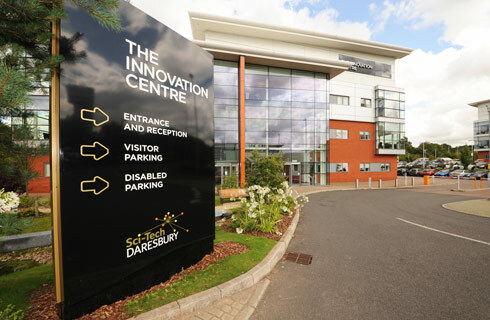 Based at The Innovation Centre in Daresbury, Cheshire, the business is close to the motorway network and is ideally placed to serve customers throughout the North of the UK and beyond.